William Young was born in 1799 in Falkirk, Scotland, to John Young and Agnes Renny. In 1814 he moved with his family to Nova Scotia, where he helped to establish John Young and Company, a wholesale dry goods business. He acted as his father’s agent in Halifax and New York. In 1815 he began an auction and commission business with James Cogswell that lasted until 1820. Young was an apprentice with the Halifax law firm of Charles Rufus and Samuel Prescott Fairbanks from 1820-1823. He became an attorney in 1825 and a barrister in 1826. In 1834 he and his brother, George, established an insurance business that lasted into the 1850s. He married Anne Tobin in 1830. In 1832 Young won his first seat in the provincial assembly. The election results were invalidated because of interference from his brother, George. In the election of 1836 he ran and won in Inverness County, a seat he held for twenty years. Young served as speaker of the assembly for many years and as attorney general from 1854–1857. In 1859 he ran and won in Cumberland County and served briefly as premier before being appointed chief justice, a position he held until his retirement in 1881. Young made many contributions to Dalhousie University throughout his career. Young was the chairman of Dalhousie's Board of Governors for 36 years (1848-1884) and wanted to make Dalhousie the "provincial university." He was also one of Dalhousie's greatest benefactors, donating money for the new Dalhousie College building (now the Forrest Building), the library, scholarships, and many other things. Young was also involved in many aspects of Halifax society outside of Dalhousie. 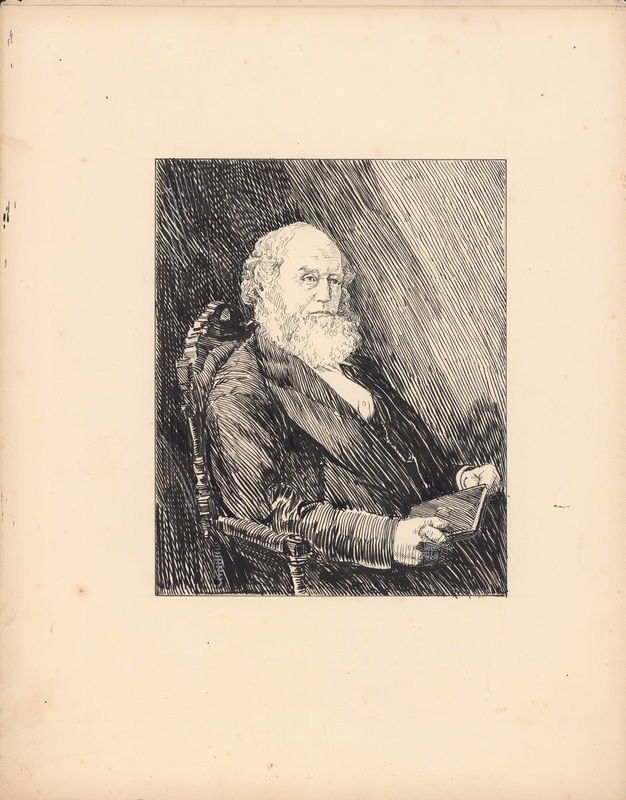 Among other things, he donated books and money to the Citizen’s Free Library and was instrumental in negotiating the land lease for Point Pleasant Park. 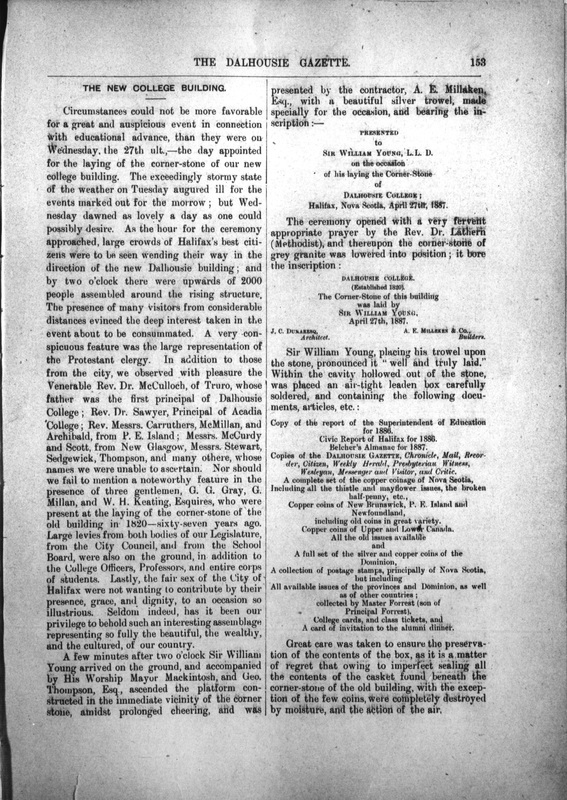 Young laid the cornerstone of the new college building on April 27, 1887. He died only a few days later on May 8, 1887. J. Murray Beck, “YOUNG, Sir WILLIAM,” in Dictionary of Canadian Biography, vol. 11, University of Toronto/Université Laval, 2003–, accessed September 18, 2017, http://www.biographi.ca/en/bio/young_william_11E.html.